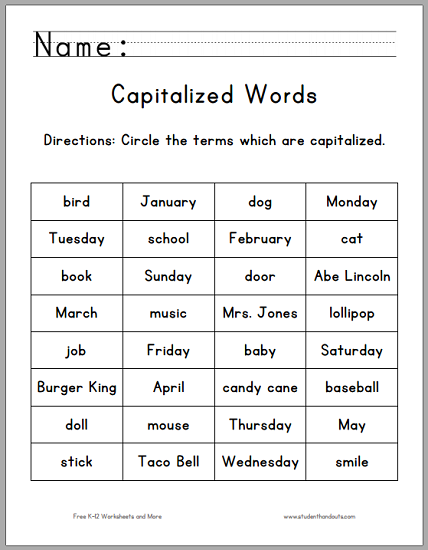 This worksheet asks students to identify capitalized proper nouns. This handout is designed as an introduction to the capitalization of proper nouns, allowing kids to see them in print and (hopefully) recognize them in the future. 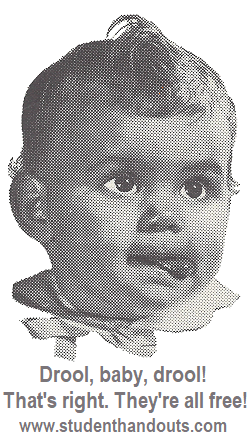 Click here to print this worksheet (PDF file). CCSS.ELA-LITERACY.L.1.2: Demonstrate command of the conventions of standard English capitalization, punctuation, and spelling when writing. CCSS.ELA-LITERACY.L.1.2.A: Capitalize dates and names of people.